A local woman has launched her own clothing line after losing her job in the oil and gas industry. SEALY, TX (KTRK) -- For Crystal Cleveland, getting laid off from the oil and gas industry was a blessing in disguise. Back in April, when she lost her job at Schlumberger, the single mother of four didn't have a clue what her next move would be -- so she went fishing, as she has done since she was young. 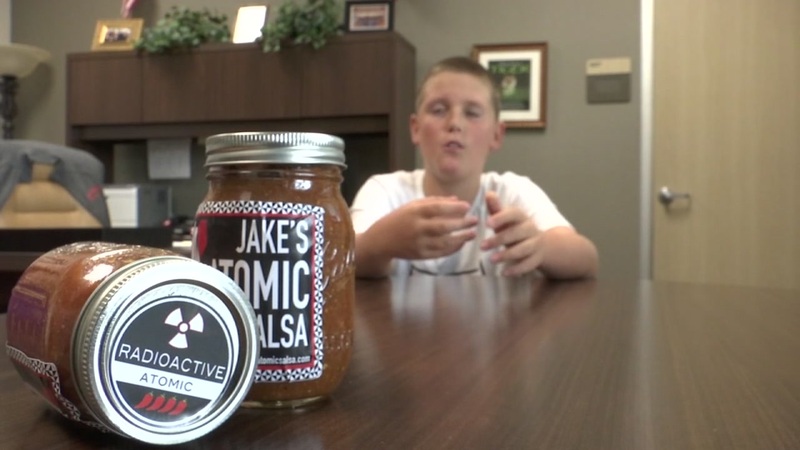 A seventh grader at Salyards Middle School has started his own salsa business to save money for college. It just so happened that she was wearing a custom-designed shirt that the people fishing next to her noticed and asked to buy. "I didn't know what to do, so I went with a free spirit and just winged it," she told Eyewitness News. With only $15 to her name, Cleveland founded Top Fin Outfitters, and announced her new idea on social media. Before her clothing line was even ready, she was selling out. "I put it up on Facebook and said 'coming soon,' and people just started buying it," she told Eyewitness News. Now, she sells everything a fishing fanatic may want, from cancer awareness tops to baby onesises. Cleveland's kids are her biggest motivators. "Putting them to bed and then working till 2 in the morning, and then you are up at 5 -- that's what pushed me, the drive of making my kids see I'm not going to give up," she said.